The Kurdistan Region of Iraq is on the verge of a fiscal crisis; this is, the incapacity to conciliate the public budget with the annual revenues and available funds. Baghdad has frozen any payment of budget share to Erbil since January, due to the dispute between the federal government and the KRG over the rights to exploit the oil in the region. Underlying this dispute is the will of Kurdish authorities to push for wider autonomy inside Iraq or, alternatively, to become a fully independent state. However, before this, questions on the economic viability of such a state needs to be answered. Given that the Iraqi governorates depend de facto on the budget transfers from Baghdad, current stalemate is undermining the ability of Erbil to maintain public institutions. Expenses are mounting due to the conflict with ISIS and the humanitarian emergency in the north of Iraq. A crucial priority for the KRG is to secure a steady revenue base. Therefore, the push for self-government is heavily influenced by the solution provided on the Kurdish fiscal equation or, in other words, how the government is going to manage the country’s wealth, fund public services and stimulate growth. Kurdish authorities argue that further self-government would provide the KRG with the powers and tools to freely develop their natural resources and, ultimately, build their own statehood. 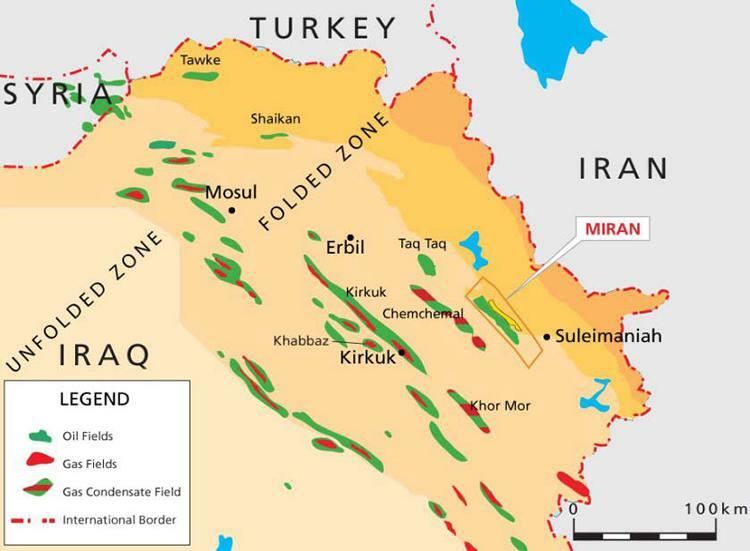 The Kurdistan has vast and untapped oil reserves that can generate enough revenue to offset current annual transfers of $12 billion from Baghdad. In addition, the law currently in discussion in the Parliament on international loans will provide the required legal basis for financial corporations to lend capital to the government. However, if the aim is to become not only politically more autonomous but also economically, the challenge is bigger. A development strategy mainly limited to banking oil resources runs the risk of falling on the same mistakes of many oil-rich countries in the Middle East: becoming a rentier state, being vulnerable to external shocks and stepping back on democratisation. Statehood based on oil resources? Should the option be available, any fledgling government in the process of state-building would jump at funding public finances through the development of natural resources. In the case of Kurdistan, it represents a clear way to face the current fiscal crisis. 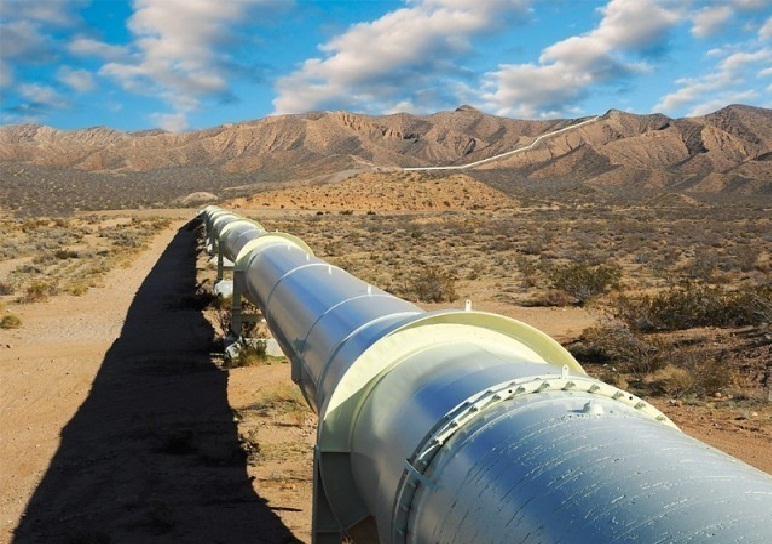 To offset current transfer of revenues from Baghdad of about $12 million, around the 17% of Iraq’s budget, the KRG needs to increase its oil production levels to 450,000 barrels per day and export them. 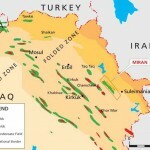 This target is estimated to be even higher right now, at around 600,000 or 700,000 barrels per day, after KRG expanded its territorial control over the disputed areas in Northern Iraq and sheltered almost a million displaced people. The KRG has started to make clear steps towards this direction by signing contracts with international oil companies out of Baghdad’s authority and transporting the oil produced to the Ceyhan seaport in Turkey for its supply to the market. During the implementation of this strategy, the KRG is facing many risks that undermine the capacity of generating enough oil revenues to offset budgetary transfers from Baghdad, at least in the short-term. In particular, the legal uncertainty of whether the KRG has the right to sell oil independently has been deterring potential buyers. As far as the oil is interpreted as “Iraqi oil” -it technically comes from within Iraq’s territory although exploited by a different administration than the Iraqi oil ministry-, Turkey seems to agree to transport it and load it in tankers at Ceyhan. But its actual sale also depends on Iraq’s central government bargaining power on foreign governments and potential buyers. 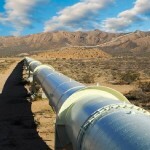 Furthermore, Kurdistan still lacks the infrastructural capacity to produce or transport sufficient oil. New facilities need to be developed, but such investments in a conflictive zone require extra capital and time than normally until completed. However, beyond legal and physical constraints, the largest concern points towards the poor institutional setting envisaged by Kurdish authorities in which to base the development of the region. The inherent risks in development policies fully dependent on oil revenues are well established after years of empirical research on the relation between natural resources, economic growth and governance quality. These risks refer, first, to how oil price volatility can cause the budget to unexpectedly collapse and bring political instability. Secondly, agriculture and manufacture sectors tend to lose competitiveness in front of a dominant oil industry due to rising prices in the economy. Additionally, unproductive and unearned rents, such as oil rents, make governments more likely to use public spending not on essential investments but on magnificent infrastructures with little use or value. Finally, as there is little or no incentive to raise revenues through taxes, it does not contribute to nurture a citizenry involved in the nation-building process and contributing to hold rulers accountable (following the principle of no taxation without representation). Having abundant natural resources does not condemn a country to this resource curse but, to avoid it, this largely depends on the quality of governance mechanisms that Kurdistan can achieve. That is, the way both society and government implement decisions over the use of the resources. However, Kurdistan is rapidly showing signals that all these previous risks, to some extent, are taking place. The KRG, in essence, is aiming to build a statehood without the reforms that are required to put the country in a similar development track as other emerging economies. The economic institutions that underpin a healthy state-building require grounding public finances not only on oil revenues, as it is now, but also on the appropriate taxation of the goods and services in the economy. It also involves allocating each revenue source, namely oil and taxes, to capital investments and recurrent expenses, respectively. Without this redefinition, the Kurdish public finance remains unsustainable. The revenues from oil, which is a one-off revenue, are allocated mainly on recurrent expenses, such as public salaries or general maintenance. These one-off revenues should be invested into other forms of capital, such as infrastructure (physical capital) or education (human capital). Such investments are the base for economic growth. It attracts private capital, generates income sources for people and encourages consumption. It is then by taxing these elements that the government generates recurrent revenue for this generation and the following ones that does not depend on limited natural resources. Furthermore, the provision of public services would not be jeopardised by a sudden drop of the market oil prices, as many Middle Eastern leaders are dramatically experiencing today after the 20% decrease in the oil price during October. For this to be applied in Kurdistan, there are several needs to be addressed in a first instance. To start with, the current absence of a tax system implies that the government never found necessary to gather information on how much an individual earns, how many profits companies do, or how much families have consumed —the items that are commonly taxed. This information is indispensable for a fiscal policy, but the government only has it for the salaries of the civil servants. Furthermore, the banking system is largely underdeveloped in Iraq. Without capable and trusted banks, the task of dealing with taxes becomes significantly less reliable. Specific actions to build skills and trust on finance are hence required. Finally, a tax system can only work when there are channels for public participation. Citizens accept an new economic setting if they are able to influence the form of taxation and the use of the resources. In addition, any new fiscal policy should not end at the revenue side. Outsized public expenses also need to be tackled and adapted to a new context. There are some critical gaps in the budget that could be addressed over the following years. First, public sector salaries absorb 70% of the budget. It is crucial to let private sector grow so that it creates opportunities away from public employment. Second, a reform of fossil-fuel subsidies would bring significant budgetary savings by targeting those who need it instead of the whole of population. The Ministry of Natural Resources recognised that the only success of current fuel subsidies has been that many families can now afford two cars, rather than helping low-income families. Finally, significant financial resources are misallocated in overpriced and delayed public investments. A currently-absent law for public procurement would better prevent such deviations and improve quality. In essence, the violent break of Iraq and the fiscal crisis in Kurdistan provides a window of opportunity for Kurds to set a new development path away from Iraq’s rentier state. However, the KRG officials are not using this chance to promote the economic reforms required to shake off the dependence on oil and avoid the resource curse. Nothing new yet is proposed when it comes to development potential. Instead, an autonomous Kurdistan is bound to experience the same course as the country they are trying to depart from. Structural reforms are not undertaken because they are tough and costly. But the sense of unity achieved by the different factions and the distrust to Iraq’s nature have certainly created a new social context in Kurdistan in which reforms can be better accepted if the outcome is a state with better governance. The government just need to have a vision for these reforms and bid for those legal powers necessary to implement them.